This is an actual VW Beetle that has been transformed by an Indonesia artist and featured at the Indonesia Art & Motoring Exhibition. His love for all things organic and odd has produced this rather strange work of art. 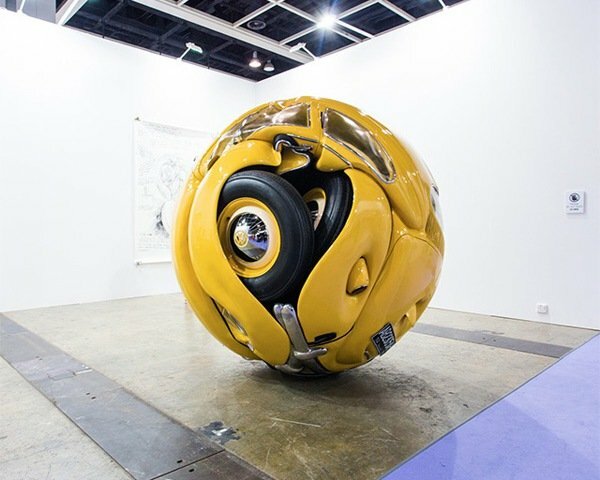 Can you image the effort required to produce a perfect ball from a 1953 VW Beetle – a true labour of love I think.